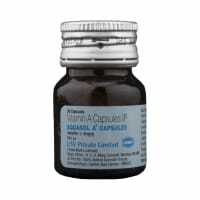 Macitent 10 mg Tablet is used in the treatment of pulmonary arterial hypertension (PAH). Take this medicine in the dose and duration as advised by your doctor. Swallow it as a whole. Do not chew, crush or break it. Macitent 10 mg Tablet may be taken with or without food, but it is better to take it at a fixed time. Macitent 10 mg Tablet is an endothelin receptor blocker. It blocks the action of endothelin (a natural substance) that causes blood vessels to narrow (constrict). 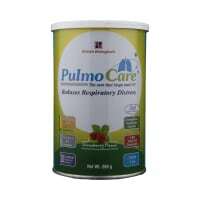 This narrowing increases the pressure in the blood vessels of the lungs. Macitent 10 mg Tablet helps relax these blood vessels and increases the supply of blood to the lungs. Your doctor has prescribed Macitent 10 mg Tablet to treat high pressure in the blood vessels that carry blood from the heart to the lungs (the pulmonary arteries). It helps improve your quality of life, exercising ability, and delay disease progression. Notify your doctor if you are pregnant or planning to conceive or breastfeeding. Your doctor may ask you to get routine blood tests done to check for anemia and to assess the functioning of your liver. Do not drive or do anything requiring concentration until you know how Macitent 10 mg Tablet affects you. Inform your doctor if you notice weight gain, swelling of your arms and legs, or difficulty breathing. Inform your doctor if you notice yellowing of skin/eye, dark urine, or stomach pain. Hello Dr. My Dad is facing High Pulmonary Hypertension of 63 and average is 32. He has liver cirrhosis as well, he is advised for liver transplant. As the PAH is high cannot proceed with the surgery. Can you please advise if there is any way out. Age : 49yrs. Medicines for heart taken at present is : Ambrisentan 5mg Assurance 20mg Trimium Inhaler. Hi Doctor good day I was diagnosed with pulmonary embolism in the year 2005 I was on warfarin for 6 months, till date I am on blood thinners anticoagulant tablets how long I can continue. If you stop taking anticoagulant tablets is there chance of getting a repeat episode. Do advice asap. I am suffering from erectile dysfunction since last 6 months. I also have hypertension and take drugs for the same. Visited a sexologist, who suggested Tadalafil 10mg half tablet every alternate day for one month and there after as required. Please advise. Do you have any questions related to Macitent 10 mg Tablet? A licensed pharmacy from your nearest location will deliver Macitent 10mg Tablet. Once the pharmacy accepts your order, the details of the pharmacy will be shared with you. Acceptance of your order is based on the validity of your prescription and the availability of this medicine.